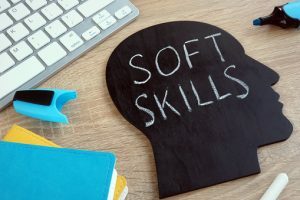 Education and training go far to help a person get an interview, but it’s soft skills that land the job and help one keep it. Effective communication and problem-solving abilities are crucial. A good work ethic, adequate self-management, and good self-awareness are needed for success. 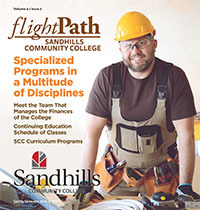 To help job-seekers overcome barriers and better develop crucial soft skills, Sandhills Community College offers the Working Smart curriculum. “Working Smart” will be held on Feb. 4-7, 9 a.m.-3 p.m. The cost is $75 but is waived for qualified students. Topics will be: Gain Your Competitive Edge, Learn the Secret to Unlock Workplace Communication, Be More Effective in the Workplace, Get Noticed by Your Employer, and Climb the Ladder to Success. A certificate will be awarded upon successful completion of the course. “This program offers critical, work-related interpersonal skills for those who currently seek employment in NC,” said Jenny Troyer, director of Career Development. “It is a great opportunity for participants to improve their probability of success in the NC workforce. “Working Smart” is offered through the Career Development Division of Continuing Education. This division assists students in assessing interests, personality traits, and abilities, in setting career and educational goals, and in creating a pathway that will lead to economic, social, and educational success. Register in the Sandhills Community College Continuing Education office located on the first floor of Van Dusen Hall on the Pinehurst campus at 3395 Airport Road. Registration by phone with a credit card can be made by calling (910) 695-3980. Registration hours are Monday through Thursday, 8 a.m. until 5 p.m. and Fridays from 8 a.m. until Noon. For questions about this or other Career Development classes, contact Program Director Jenny Troyer at (910) 695-3926 or troyerj@sandhills.edu.